On June 11, police received a report of a serious vehicle accident involving two vehicles. The accident was reported in the morning, and emergency responders were dispatched to the scene shortly. Upon arrival, they found that a Toyota SUV being driven by Andrew Brockelman of Boxford was traveling northbound when a Mazda being driven by Richard Spiess of Southwest Harbor was traveling southbound when the two vehicles collided. Spiess and his wife, Lee Ann, were flown by helicopter to a hospital in Lewiston. He is listed in critical condition. Brockelman was also injured, but he is listed in fair condition. The accident occurred near Hazelwood Drive and remains under investigation by the Carrabassett Valley Police Department. No fatalities were reported at the scene. Vehicle accidents can happen when we are least expecting them, and nobody ever expects to be in an accident when they are driving. 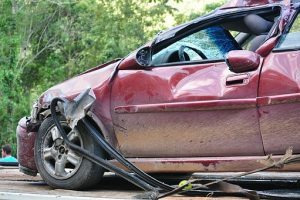 Accidents can happen, however, and car accidents that involve multiple vehicles can be some of the most extreme. Negligent driving can leave people suffering from injuries and can sometimes cause deaths. Drivers must all do their part to remain aware and do their best to remain conscious of what is happening around them. Failure to do so could end up causing accidents. Car accidents that involve multi-vehicles can be quite dangerous. These accidents can end up causing injuries to multiple people and can sometimes cause fatalities. It is vital for all drivers to remain aware when they are behind the wheel as reckless actions can have lethal impacts. The serious nature of this accident reminds us to always be cautious. Accidents can leave victims suffering for many years, and victims can seek recovery so they can focus on getting back to their lives. We at the Law Offices of Jeffrey S. Glassman are members of the community, and we want our roads to be safe for all who are on them. We urge all drivers to remain vigilant and do their part to create safe roadways. However, we know that accidents do sometimes occur, and, when they do, we are also here to help victims who are seeking assistance and recovery so they can get back to their lives.